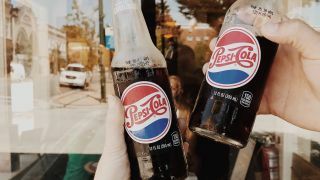 The two companies joined forces for a test launch to advertise gamer-targeted energy drink Adrenaline Rush, but PepsiCo has now announced that it was just an experiment, and it doesn't plan to buy an artificial constellation to promote pop just yet. When it finds a client that's in for a the long-haul, StartRocket plans to launch a collection of small, light-emitting satellites called CubeSats, which can be precisely controlled and connected together in low orbit to spell out names and create shapes (a little like Intel's Shooting Star display drones). The company intends to start putting ads into orbit in 2021, so although PepsiCo might have pulled out, there's still time for it to find another brand with deep pockets and extraterrestrial ambitions.